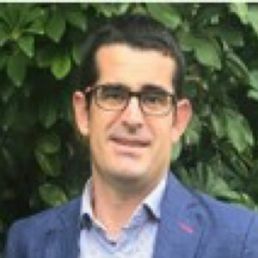 Ibon Galarraga holds a Ph.D. in Economics (Environmental Economics) from the University of Bath (UK), M.A. Economics at the University of Essex (UK) and B.A. Economics (speciality of International Economics and Development) at the University of Basque Country. He is an expert in environmental and energy economics and public policy with extensive experience. Ibon has published substantially in the field and is currently the President of the Spanish Association for Energy Economics (AEEE). During July 2005 and May 2009, he was the Deputy Minister for the Environment of the Basque Government, Executive Vice-President of the Environmental Public Society (IHOBE), and Member of the Board of the Basque Energy Board (EVE). In 2009 he joined the Basque Centre for Climate Change (BC3) as Research Professor and he was Deputy Director in the period 2013-2015. Dr. Galarraga is Partner and Director of Metroeconomica, S.L. since 2017. Climate change requires to overcome the short-term vision of public policy. Having the right facts and scientific information is vital, but only part of the variables considered by policy makers. Research that supports decision making process is extremely important and necessary to build a bridge between scientific knowledge and policy action. If and only if all stakeholders contribute to fighting climate change, will the 1.5ºC target be achieved. This requires that in addition of Estates, all Non-State Actors (i.e. business, regional governments, municipalities, NGOs, academia and civil society) are vital in this task. Nature usually offers the best solutions to protect life in the planet. Recognising its role, protecting it and restoring damaged ecosystem is probably one of the smartest things we can do to both mitigate and adapt to climate change.